Sterling Academy offers two years of high school German courses, as well as two years of middle school courses. Study German language online for high school credit at Sterling Academy! German language study is not only available for Sterling Academy full-time students, but also students from other schools who do not have German courses available at their school. Since we are an AdvancED/SACS accredited school, your credits are generally easily transferable to your local school. WHAT IS COVERED IN OUR german COURSES? Our online high school German courses feature a variety of activities. Each unit introduces a vocabulary theme and grammar concept. Activities to practice the material learned include reading, writing, listening, and speaking, and games. Every unit also includes a lesson on German culture, focusing on a particular country — Germany, Switzerland, Austria, or Liechtenstein. Throughout the courses, there is an ongoing story that is in mixed English and German, progressively using more German as the story continues and the student learns more German. Assessments (quizzes and exams) include set answer questions (i.e. multiple choice), writing portions, and speaking portions. The courses have been carefully aligned to national standards as set forth by ACTFL (the American Council on the Teaching of Foreign Languages). Listed below are some examples of what is specifically covered in each high school course. The lists of topics and grammar points are not complete lists, but give substantial examples of what is covered. Topics in the first semester online high school German I course include greetings and familiar phrases, school, descriptions, colors, countries & nationalities, numbers, time, days/months/seasons, hobbies, food, family, places, animals, shopping, and weather. Grammar covered includes questions and commands, nouns, regular and irregular verbs in present tense, as well as separable verbs, articles and personal pronouns in nominative and accusative case, coordinating conjunctions, negation with nicht & kein, and dieser words. Topics in the second semester online high school German I course include professions, at home, the body, vacation, telephone, medical words, sports, outdoor activities, computers, travel and transportation. Grammar covered includes possessive, comparative, and superlative adjectives; prepositions; interrogatives and imperatives; verbs in past, present perfect, and future tenses, as well as modal and separable verbs; accusative review, and dative introduction. Topics in the first semester online high school German II course include days/months/seasons, holidays/special celebrations, food, health, family, professions, pastimes, the body, at home and school, cars, and around the city. Grammar covered includes modal auxiliaries, simple past of modals, dative prepositions and verbs, indirect objects in dative case, two-way prepositions, coordinating and subordinating conjunctions, da and wo compounds, use of als and wenn, and reflexive verbs. Topics in the second semester online high school German II course include nature, vacation, music, technology, measurements, clothing, work, shopping, money, love and dating, and societal issues. Grammar covered includes: adjective endings, interrogative pronouns, imperatives, introduction to genitive and subjunctive cases, idioms, and reviews of word order, verb tenses, modals, and dative and accusative cases. Part of the final exam in German II B requires the student to write four to six sentences on a topic, and respond to a question by speaking five to six sentences to answer the question. If you have specific questions about anything covered in our German courses, you may fill out the form on this page and include your questions there. Or, if you're interested in signing up, you can also contact us using that form. Listed below are some reasons why German would be an excellent world language choice. 1. Business and Career: Germany is the fourth largest economy in the world and the economic leader in Europe. It is the home to the following world famous companies: BMW, Mercedes, Porsche, Audi, VW, Siemens, and Bosch. Germany will continue to be an important trade partner for the US, and speaking German will increase your job opportunities with German and foreign companies in your own country and abroad. Speaking German and English will help you function productively for an employer with global business connections. Lastly, should you be interested in engineering, there is a shortage of engineers in Germany and companies are looking to hire qualified engineers from abroad. 2. Science: The most important language for the sciences besides English is German. Albert Einstein spoke both languages and had a very successful career in Germany and the US. Germany is also the third largest contributor to research and development and offers research fellowships to scientists from abroad. 3. 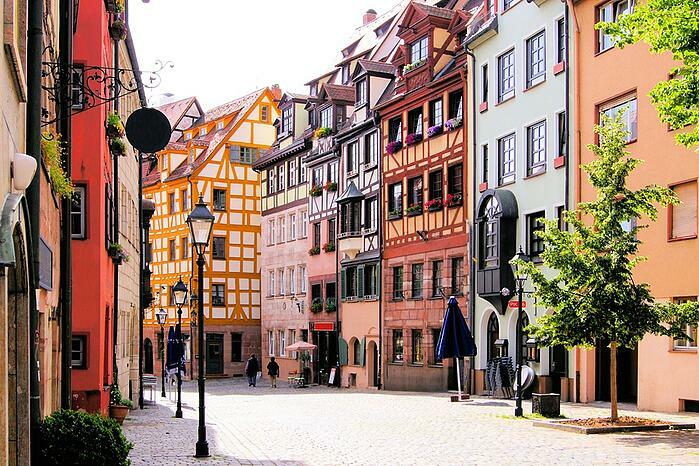 Literature, Music, Philosophy: Germany was referred to as the land of the poets and thinkers prior to WW II. Johann W. Goethe, Franz Kafka, Thomas Mann, Hermann Hesse, and Guenther Grass are some of the great writers Germany has produced. Furthermore, some of the world’s most renowned philosophers such as Hegel, Nietzsche, and Kant wrote in German. Finally, one can’t forget the great composers of Germany: Beethoven, Wagner, Brahms, and Bach. Learn German and indulge in reading and/ or listening to their works in their original language. There you have it: three great reasons to study German! You can begin today at Sterling Academy! If you would like to learn more about any of our other foreign language courses (Chinese, French, Latin, or Spanish), or have any other questions about Sterling Academy, click the link below and our Enrollment Counselor will contact you and answer your questions for you. We offer the following German courses. Each course is 2 semesters. You may also choose to take only one semester. Christine Schneider is a native German speaker. She has taught German at a private high school in Austin, Texas, and tutors. 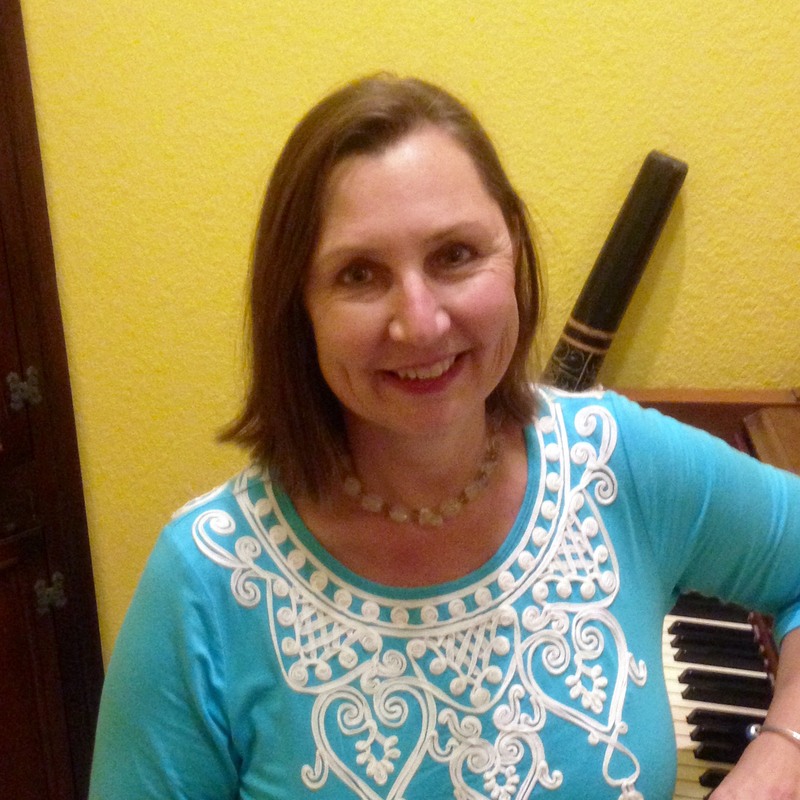 Christine has a Bachelor's Degree in Music from the Boston Conservatory and a Certificate in Russian Church Music & Conducting from the Russian Orthodox Monastery in Jordanville, NY. Besides German language & culture and music, her passions include Interior Decorating, in which she holds a Certificate, and living with her family in the beautiful Texas Hill Country. Questions regarding our german courses? For tuition for full-time students, see our links at the bottom of the page for our tuition plans -- Monthly Access Plan or Flat Fee.